Dr Fang Lou was born in 1963 in Hangzhou, China. She obtained a BSc in Biology from the University of Science and Technology of China (1986), and a PhD in Medical Sciences from the Lund University, Sweden (1994). She did post doctorial research at the Imperial College, London, United Kingdom, in muscle physiology. 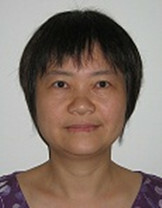 Dr Fang Lou joined the University of Hertfordshire, United Kingdom, in 2002 as a lecturer in Physiology. She is interested in pedagogy with the application of blended learning, particularly in peer assessment and group work. She has been seconded to the Learning and Teaching Institute between September 2009 to August 2014 as a principal lecturer. She has been involved in the management and staff training of the online teaching tool ‘Elluminate/Collaborate’ and ‘Adobe Connect’ across the university. She works with many colleagues in the university on assessment for learning and flexible learning. She is the Departmental Lead in Learning and Teaching. Dr Fang Lou is a Senior Fellow of the UK Higher Education Academy, and member of the Physiological Society. Her publications cover both the physiology and learning and teaching fields.